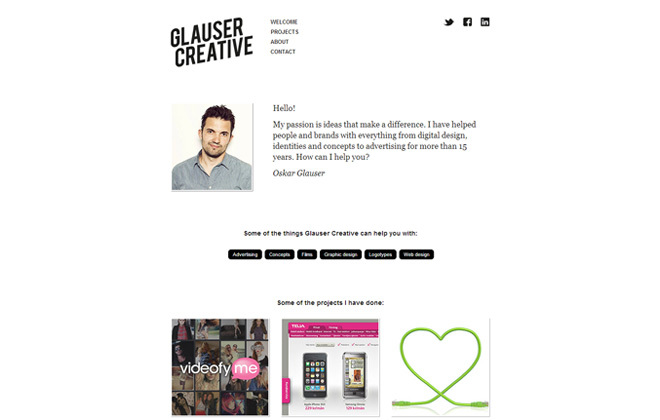 Glauser Creative is an art direction, graphic design, web design and graphic identities company founded and run by Oskar Glauser. The theme has a top navigation and category based posts. The fade-in effects at the start page is done using timed css3 transitions. Have a look at some creative design at glauser.com.